Hello Guys, Here We sharing all HD video song of Shivaay movie. This is the upcoming Bollywood film which is directed and produced by Ajay Devgan. This is the most awaiting film of this year. This is an action thriller film staring Ajay Devgan, Sayeshaa Siagal & Erika Kaar in main lead role. The trailer of this film has already released. The trailer has got Million of views on You Tube channel. All are excited for this film. About four song has already released. Bolo Har Har Har is the first title song which is sung by Ankit Tiwaari and rap by Badshah. Song is full of energy and became super hit. Here I have collected all video song. If you search all video song of Shivaay movie than you are on right place. Shivaay is a Himalayan mountaineer who is an innocent every man and yet is capable of transforming into a mean destroyer when he needs to protect his family. The movie music has composed by Mithoon and lyrics by Sandeep Srivastava. As of title track is released and an another song called “Darkhast” which is sung by Arijit Singh and Sunidhi Chauhan. 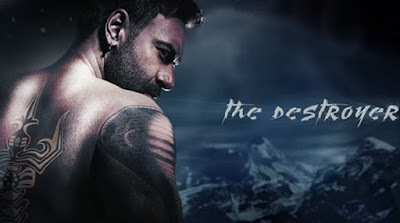 Shivaay is scheduled to release on 28 October 2016 on the Diwali weekend. This is the first song of this film. The song is sung by Mithoon, Mohit Chauhan, Sukhwinder Singh, and rap by Badshah. The music is composed by Mithoon and lyrics by Sandeep Shrivastava. "DARKHAAST" Video Song in the voice of Arijit Singh & Sunidhi Chauhan from this movie. This is very cute and lovly song and music composed by Mithoon. Raatein Video Song is in the voice of Jasleen Royal and lyrics by Aditya Sharma. Tere NaaL Ishqa Video song is in the voice of Kailash Kher and lyrics by Sayeed Quadri.